This November, Norwegian and Brazilian stakeholders organized a second ocean conference addressing the need for sustainable management and use of ocean resources. Haakon Lorentsen, Marcelo Szpilman and Ricardo Piquet. 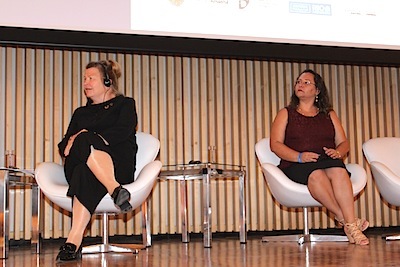 The conference is a joint effort by Innovation Norway, The Norwegian Consulate in Rio de Janeiro, the Brazilian Navy, Museu do Amanha, Aquario, and Institute for Development and Management (IDG), and this year´s edition was entitled «Sustainable oceans – waves of innovation». 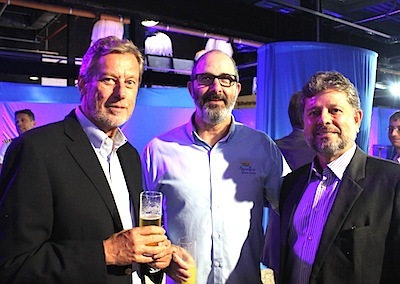 The conference kick-off was a cocktail reception in Aquario on November 12, 2018, with the presence of Embassador Nils-Martin Gunneng, Consul General Sissel Hodne Steen, Vice-Admiral and Director of the Brazilian Directorate for Ports and Coast (DPC), Roberto Condim Carneiro da Cunha, Aquario founder and director Marcelo Szpilman, Director of Museo do Amanha Ricardo Piquet, Haakon Lorentsen, member of the consulting board of WWF Brasil and many other prominent guests. 50 percent of the oxygen produced in the world comes from the ocean, and the ocean also absorbs 25 percent of the global carbon emissions, making it the world´s biggest carbon sink. 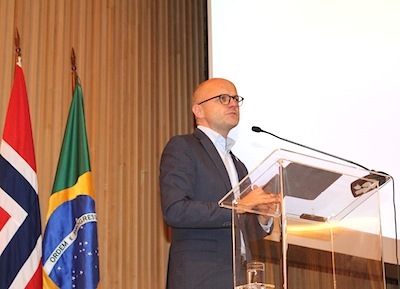 Keynote speaker on the opening day November 13, 2018, was Norway´s special envoy for oceans, Mr. Vidar Helgesen who believes there are big opportunities for beefing up the ocean collaboration between Norway and Brazil. In 2017, the first Norwegian ocean strategy was presented as well as a white paper on the place of the oceans in Norway’s foreign and development policy. The ocean industries currently represents more than 70 percent of Norway’s export value. The ocean literally unites Norway and Brazil, the so called ocean industries are strong in both countries, with common interests in oil and gas, fisheries and aquaculture, transport and research. «The ocean is the backbone of Norway´s economy. 30 percent of our GDP comes from the ocean and 10 percent of the jobs are related to the ocean. This has been the case for centuries, and bacalhau was the starting point for Norway´s ocean adventure. Oil and gas is of course the biggest source of income today, but we are also seeing major oil and gas companies looking at renewables, and the oil and gas industry is an important part of the transformation we need. To Norway, the ocean is a system that we are using. It is a regenerative system, and guaranteeing the ability of the ocean to regenerate, it keeps giving. But the regenerating capacity is being profoundly undermined and this is the critical challenge that we need to take on», Mr. Helgesen said. Norway´s Special Envoy Vidar Helgesen. Norwegian authorities would like to see more dialogue between countries, and earlier this year, Prime Minister Erna Solberg has launched a high level panel to address challenges and come up with proposals on how to better manage the oceans. In September, the panel met for the first time in New York. The high level panel has identified 4 major perils that the world is facing as a global community, and according to Mr. Helgesen these are illegal fishing and overfishing, climate change and the consequences on the oceans, like acidification and rising temperatures, pollution and biodiversity. «In an even broader perspective there will not only be economical impacts, but also impacts on security and conflicts. It is very unpredictable, and we need to find solutions. New technology, digitalization and biotechnology can help us get there and technologies that can be put to use. But there is a need for an integrated management of the oceans. For Norway, the ocean is a part of our identity, of who we are and that has connected us to the rest of the world», Vidar Helgesen said. Sustainable production of food in the ocean was debated by the first panel of the conference on November 13. 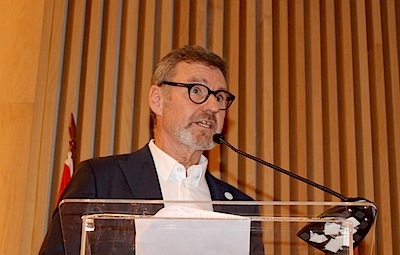 Per W. Schive, Director of the Norwegian Ministry of Climate and Environment, set the stage in his presentation about the management of the ocean riches, and the need for a strengthened integrated ocean management. He explained Norway´s policies on ocean management, the decision making processes, and how Norway has developed white papers on management, on valuable and on vulnerable areas, and no-go-zones for the oil industry. «Knowledge sharing has been vital, within science, industry and management and it is a feedback system. Issues that are emerging now is marine litter and micro plastics», Mr. Schive said. Edel Elvevoll, a Professor of Foodscience and Technology from the University of Tromsø, then shared experiences on the production of micro algaes, that can double their own weight in just one day, and also needs Co2 to grow. The algaes could be used as food, feed, for medical purposes, as plastic and as biofuel, and the project she presented, has cultured 70-90 different species of micro algaes. «We now know that the world population will soar even higher than predicted, and an 60-70 percent increase in the world´s food production is needed, and it´s time to go to the ocean. While fish is only 1 percent of what we find in the oceans, planktons are 94 percent, but we don’t eat them. You could call them the rainforest of the ocean, and there are various possibilities», she said. Vanessa Magalhães, a professor representing NUPAS, a research unit for sustainable aquaculture at the state university of Rio de Janeiro, presented maricultural projects in Rio de Janeiro and outlined the work of NUPAS. Sanitary issues, lack of public policies and poor administration has been a problem, and Ms. Magalhães believes there is a huge potential for growth. Most fish farming in Brazil today takes place in fresh water. The second panel on the opening day of the conference addressed the problem of plastic waste in the oceans. By 2030, estimates show that for every 3 kilos of fish in the ocean, there will be 1 kg of plastic, so it´s time to turn the tide on plastic. Speakers were Martin Styrmoe Moen from REV Ocean, Tora Drægni from SALT Lofoten and Bruno Temer from Materia Brasil – Projeta Remolda. 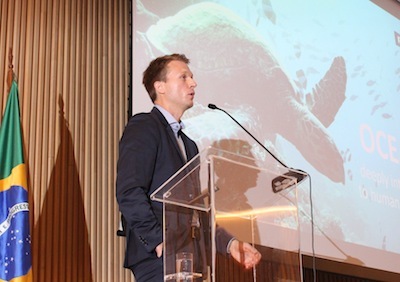 Martin Styrmoe Moen presented the REV Ocean project with a special focus on the plastic problem in the ocean. The overall objective of REV Ocean is to increase knowledge and promote sustainable solutions to overcome some of the greatest challenges we currently are facing in the ocean. REV Ocean is currently building the world’s largest and most advanced research and expedition vessel. The vessel, scheduled to be completed in 2021, will be an important tool in combatting the challenges of our ocean. «Marine life is under considerable pressure, and a large-scale rescue operation is needed. If we are to overcome these challenges, we have to move from talk to action, and develop the specific solutions the oceans need», he says. Tora Drægni from SALT Lofoten presented the project «Fishing for Litter» where local fishermen are involved in collecting litter. Bruno Temer talked about the Remolda project, and explained how waste can be used to create lucrative local businesses. On Wednesday November 14, Day 2 of the Conference, Supreme Court Justice Herman Benjamin of STJ gave the welcoming address, and the agenda included sessions were dedicated the topics of biodiversity and how to protect life in the sea and to sustainable energy. Ms. Claudia Erber, biologist at Runde Environmental Center on the northwestern coast of Norway, talked about the how the marine birdlife and the Runde birds are being affected by increased activities in the area. Tiago de Carvalho talked about the BIG 2050 initiative, a project in the Ilha Grande Bay, a cooperation between FAO and Inea/RJ. Raquel Peixoto talked about scientific methods to save coral reefs and revert coral reef bleaching. The second session was dedicated to sustainable energy production in the ocean, and Equinor´s Senior Vice President of Corporate Sustainability, Bjørn Otto Sverdrup, talked about the ocean of opportunities when it comes to producing renewable energy in the ocean, both eolic and wave energy. Equinor announced on November 15, that the company has acquired a minority shareholding in Scatec Solar, and Mr. Sverdrup explained the greener strategy of the company behind these latest moves. Equinor has clear ambitions of contributing to the success of the Paris Climate Agreement. In the company´s Climate Roadmap, Equinor commits itself to pursuing the 2-degree goal that the signatories to the Paris Climate Agreement agreed upon. Succeeding in this ambition will require substantial change on Equinor’s part. Mr. Erik Ianssen talked about electric vessels and battery driven ferries in Norway and even explored the idea of using the same green solutions on the Guanabara Bay. Pål Jahre Nilsen, representing Scanship, talked about how the cruiseship industry is taking steps to transform residue into energy onboard. Two documentaries were also part of the program during the conference. On November 13, the documentary «Baía Urbana», about the Guanabara Bay in Rio, was showed, and on November 14, the documentary «Oceans» closed the program. 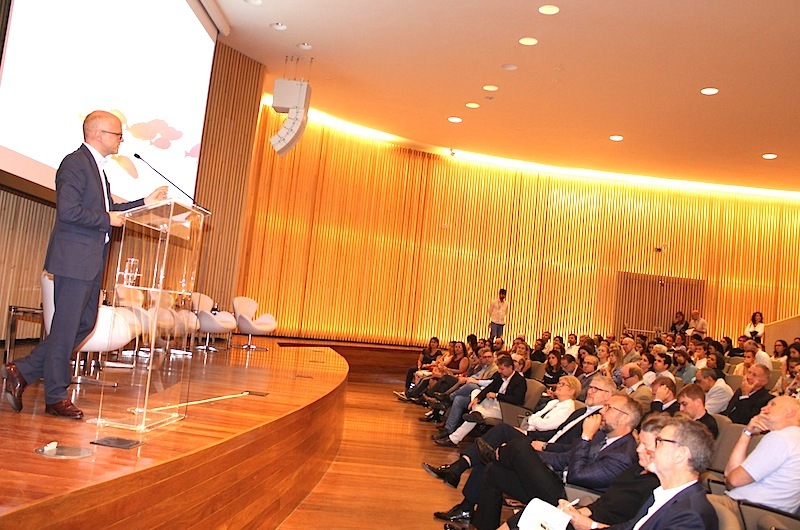 The Ocean Conference was part of an extensive event program during the second Norway Brazil Weeks, with a variety of seminars and conferences taking place in Rio de Janeiro and São Paulo.